The Tax Court’s ruling in Morrissette is very important to the estate planning community, in that, intergenerational split-dollar life insurance arrangements have become much more popular since the IRS released its final split-dollar regulations in 2003. Yet, widespread use of this technique has been suppressed by uncertainty with respect to the tax result. Further, the IRS has oftentimes taken the position (in audits) that a lump sum premium payment should be treated as a gift to the lower generation even if the economic benefit regime was used to determine the value of the life insurance protection. Morrissette provides more clarity on the taxation of split-dollar policies. The issue before the United States Tax Court was whether a split-dollar life insurance arrangement involving a lump sum premium payment by one party to acquire life insurance insuring another party would be considered a gift, in the context to the extent that the premium payment exceeds the value of current life insurance protection. In the case at hand, an elderly—and eventually deemed permanently incapacitated—mother established a revocable trust in 1994 appointing herself as the initial trustee. Mrs. Morrissette contributed all of her stock to the Clara M. Morrissette (CMM Trust). Many years later, the court appointed a conservator for Mrs. Morrissette’s estate who established three perpetual trusts for family members. The CMM Trust was amended later that year to permit the trustee to: “1) pay premiums on life insurance policies acquired to fund the buy-sell provisions of the business succession plan; and 2) make loans, enter into split-dollar life insurance arrangements, or make other arrangements”. Additionally, the 2006 Amendment authorized the trustee to transfer each receivable from the split-dollar life insurance arrangement when paid by each Dynasty Trust back to the Dynasty owning the receivable or directly back to each son. To fund the purchase of the policies, each Dynasty Trust and CMM entered into two split-dollar arrangements. The CMM Trust contributed $9.96 million to the Arthur Dynasty Trust, $9.98 million to the Donald Dynasty Trust, and $9.96 million to the Kenneth Dynasty Trust. The Dynasty Trusts then used that money to pay a lump sum premium on each policy to maintain that policy for the insured’s projected life expectancy. Under the split-dollar life insurance arrangements, upon the death of the insured, the CMM Trust would receive a portion of the death benefit from the respective policy insuring the life of the deceased equal to the greater of: (i) the cash surrender value (CSV) of that policy; or (ii) the aggregate premium payments on that policy. Each Dynasty Trust would receive the balance of the death benefit of the deceased. If a split-dollar life insurance arrangement terminates for any reason during the lifetime of the insured, the CMM Trust would have the unqualified right to receive the greater of: (i) the total amount of premiums paid; or (ii) the CSV of the policy, and the Dynasty Trust would not receive anything from the policy. The issue in this case, Estate of Morrissette v. Commissioner, 146 T.C. No. 11 (April 13, 2016), of whether this constituted a gift, was a matter of first impression for the Tax Court. 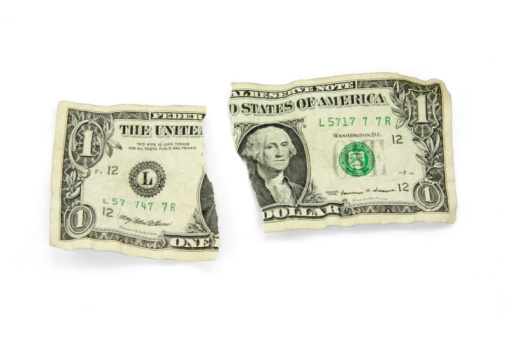 The Tax Court ruled, in summary judgment, that the split-dollar arrangement does not constitute a gift. The court then moved to what is the proper methodology to determine the fair market value of the current life insurance protection. Essentially there are two methodologies available to determine the tax on such a policy—a “loan regime” and an “economic value regime.” The Tax Court utilized the economic benefit regime, set forth under Treasury Regulations Section 1.61-22 (Taxation of Split-Dollar Life Insurance Arrangements) issued in September 2003, to determine the value of the life insurance policy. In 2006, the conservator for Mrs. Morrissette established three dynasty trusts for each of her three sons—Arthur, Donald, and Kenneth. The son’s three dynasty trusts and Mrs. Morrissette’s revocable trust entered into a shareholders’ agreement, which included a buy-sell agreement, under which, at the death of any of the sons, the surviving siblings and their respective dynasty trusts would acquire the stock of the family business held by or for the benefit of the deceased sibling. The funding of the aforementioned buy-sell arrangement was provided by the split-dollar life insurance arrangements insuring the lives of Arthur, Donald, and Kenneth, respectively. The split-dollar arrangement, which existed between Mrs. Morrissette’s revocable trust and each respective son’s dynasty trust, provided that Mrs. Morrissette’s revocable trust would advance the lump sum premium associated with the purchase of each life insurance policy. As such, Mrs. Morrissette’s revocable trust advanced an aggregate of $29.9 million into the three dynasty trusts. By way of background, it is of import to note that this type of life insurance policy is funded through the payment of a single, or lump sum payment. The split-dollar arrangement then provided that, on the death of the insured, Mrs. Morrissette’s revocable trust would receive a portion of the death benefit from the respective policy equal to the grater of the cash surrender value of the policy or the aggregate premiums paid on that policy. The balance of the death benefit would be retained by the dynasty trust and available to purchase the stock of the family business. Finally, the split-dollar agreement contained a provision relating to termination of the policy prior to the death of the insured. The agreement stated that if the arrangement was terminated during the lifetime of an insured, Mrs. Morrissette’s trust would have an unqualified right to receive the greater of the total amount of premiums paid or the cash value (“CSV”) of the policy, and the dynasty trusts would not receive anything from the policy. Mrs. Morrissette timely filed gift tax returns from 2006 through 2009, reporting fits to the dynasty trusts, as determined using the economic benefit regime, utilizing Table 2001 issued by the Internal Revenue Service. In 2010, Mrs. Morrissette passed away. The estate retained Valuation Services to appraise the value of the receivables owned by the estate under the split-dollar arrangements. The estate reported the total value of the receivables at $7.5 million, or a 75 percent discount, from the $29.9 million originally advanced to pay the premiums. The IRS issued a Notice of Deficiency (hereinafter, the “Notice”) to the estate in 2013. The IRS took the position that the estate failed to report total gifts of $29.9 million. As such, the IRS Notice issued a gift tax penalty in the amount of $14,800,179, and an IRC Section 662 penalty of $2,760,036. The crux of the IRS’ position was their characterization of the split-dollar life insurance arrangement as a loan under Treasury Regulations Section 1.7872-15(a)(2)(i). In January 2015, the estate moved for partial summary judgment under Rule 121 (of the U.S. Tax Court) on the issue of whether the split-dollar life insurance arrangement should be governed under the economic benefit regime as set forth in Treasury Regulations Section 1.61-22. The Tax Court determined that the question of whether any additional economic benefit, other than the cost of the current life insurance protection is purely legal (rather than a material issue of fact) and therefore, could be decided by summary judgment. In order for Mrs. Morrissette’s revocable trust to have conferred any additional economic benefit other than the current life insurance protection, the split-dollar arrangements would have to provide the dynasty trusts with “current access to the cash values” of the policies or “any other economic benefit.” The Tax Court ruled that the dynasty trusts did not have a legally enforceable right to access the CSV of the policies. The Court noted that Mrs. Morrissette’s trust retained the right to receipt of the split-dollar receivables, including 100 percent of the policy cash values, either at the death of Mrs. Morrissette or in the event of a termination of the arrangement during her lifetime. The Court took note of the fact that the Morrissette split-dollar arrangement was entered into for more than mere tax avoidance. As we have seen in previous cases decided this year by the Tax Court (see Estate of Purdue v. Commissioner and Estate of Holliday v. Commissioner), entering into any estate planning arrangement for mere tax avoidance is a sure recipe for disaster. The Court noted that the primary purpose the Morrissette’s entered into the split-dollar arrangement was to keep the family business in the family. The Court contrasted the motive of the Morrissette’s with the purpose of Notice 2002-59, which was to prohibit a transaction whose only benefit was tax avoidance—or a testamentary transaction. The Tax Court’s ruling in Morrissette is very important to the estate planning community, in that, intergenerational split-dollar life insurance arrangements have become much more popular since the IRS released its final split-dollar regulations in 2003. However, widespread use of this technique has been suppressed by uncertainty with respect to the tax result. Further, the IRS has oftentimes taken the position (in audits) that a lump sum premium payment should be treated as a gift to the lower generation even if the economic benefit regime was used to determine the value of the life insurance protection. In Morrissette, the Tax Court made it clear that the value of the premium payment is not a gift if the transaction is structured properly. This ruling should remove a significant barrier to the broader application of intergenerational split-dollar for high net-worth clients. Finally, we see the Tax Court paying attention to whether estate planning transactions are merely entered into for tax-avoidance (testamentary), or whether the parties entered into the transaction for significant business reasons. The Court did note, in a footnote, “We are not deciding whether the estate’s valuation of the receivables…in the gross estate is correct.” It should be noted that in previous cases, the IRS has settled such valuation issues on generally favorable terms to the taxpayer, that is, relying on independent third-party valuations. At the time of this article publication, it was unknown whether or not the IRS planned to litigate the valuation portion of this case.